With 11 years experience selling properties in the Howick and Dannemora areas Cherie is a highly successful sales professional. 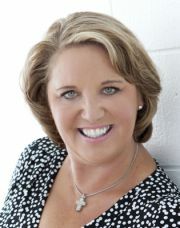 She brings a wealth of knowledge in selling and is committed to delivering outstanding personal service. The key to her success, listening to your needs. Kristyn is a local resident who has built a great reputation for impeccable client service. Her negotiating skills are excellent and her personality and ability to put people at ease inspires confidence. 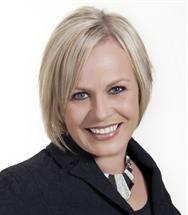 Shawn has proven knowledge, experience and skill in selling property in the eastern area. He knows how to develop targeting marketed strategies and with an honest approach to real estate has built a reputation for outstanding work ethic. Shawn treats all people with total kindness, honesty and a determination to make his clients happy. Howick house values increased by 13% over the last year to $969,700, Cockle Bay values increased 16% to $1,276,100 and Shelly Park was up 14% to $1,252,000. The average time it takes to sell a property in the general Howick area is currently 31 days. Most expensive sale: $3.6m in November 2015, Stevenson Way, Cockle Bay. To find out who sold it and the best agents to sell your home, go to our Agent Selector Service. The Howick area has a very buoyant property market and is well represented by many agency groups. It is very competitive for listings and many agencies offer multilingual teams to appeal to the diverse buying and listing market places. Private sales are not uncommon, especially amongst younger couples hoping to save money, but the vast majority of homes are marketed successfully by neighbourhood specific agents from the local branches of the major agencies.